Rigstar has been deploying cell boosters for over 18 years and has the experience and expertise to increase cellular connectivity in any environment. Our “carrier grade” boosters have a proven track record to deliver the most reliable signal strength throughout the industry. Rigstar’s team of specialists work closely with the Telco’s to identify any potential disruptions that might arise within a specific location. Our boosters have the capabilities that allow our Network Analysts to remotely login and immediately perform troubleshooting procedures. It is a requirement of the Canadian Radio-Television and Telecommunications Commission (CRTC) for all telecommunication common carriers (TCC’s) and resellers of basic telecommunication services to be registered with the CRTC. 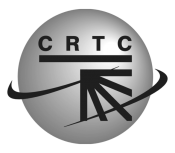 Rigstar is registered with the CRTC as a telecommunication carrier. Our company holds a valid Basic International Telecommunication Service (BITS) license from the CRTC, which authorizes Rigstar to provide basic international telecommunication services to customers located in Canada.